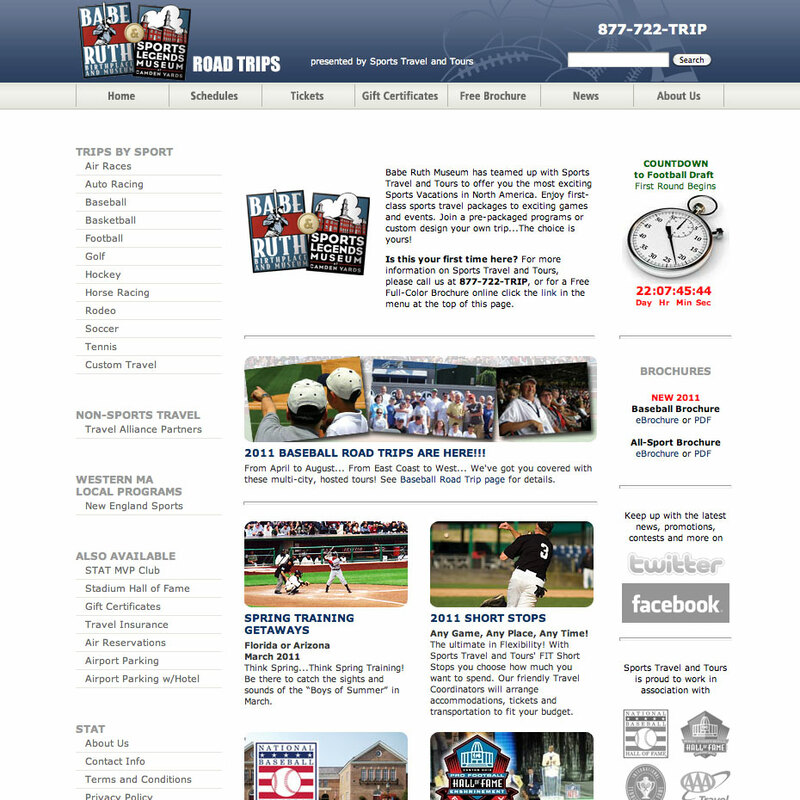 All materials on this site are ™ and © 2003-2010 by Sports Travel, Inc. All rights reserved. IMPORTANT NOTICE: We have instituted a $25 non-refundable deposit for all Custom Itineraries (this does not apply to all great pre-packaged Sports Vacations and Tours on our website). Click this link to enter the AAA Travel Agent Portal. Click this link to enter the CAA Travel Agent Portal. Not an affiliate yet? Would you like to be? Email Len Lucien, Chief Operating Officer. Our Mission is simple: To make it hassle-free for groups and individuals to attend sporting events of a lifetime. We offer our popular Baseball Road Trips and Tours, Spring Training packages, Hall of Fame Enshrinements, All Major Sporting Events and our Flexible Independent Travel (FIT) Vacations that are customized to meet your schedule and budget.